9-LED Flashlight - Titanium Color | BUDK.com - Knives & Swords At The Lowest Prices! 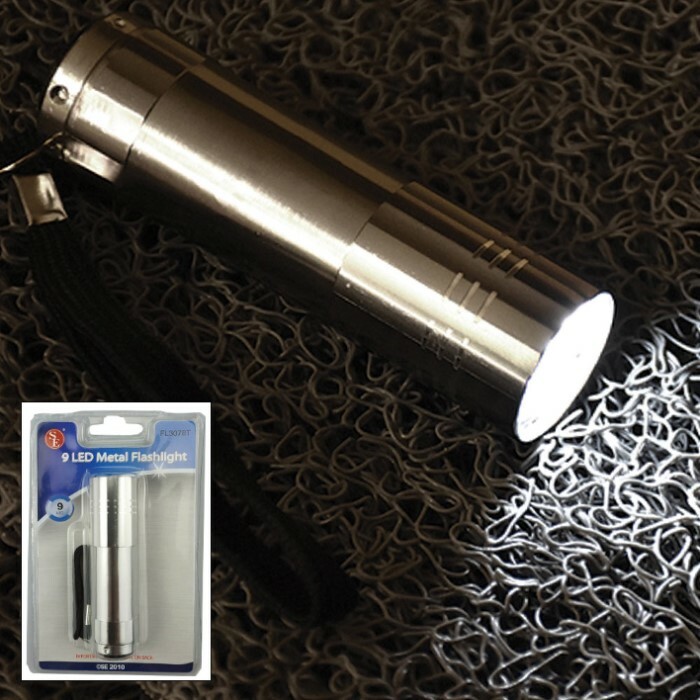 Overall length: 3 3/4”; diameter: 1"
The 9-LED Flashlight will make you believe it’s daytime when you switch it on! Nine super bright LED bulbs will shine light into the darkest corners and give you 100,000 hours of use. 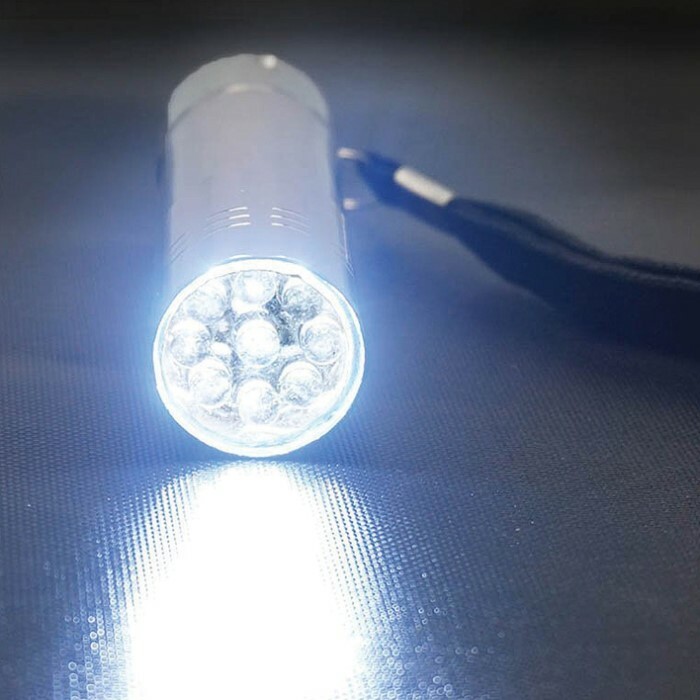 The flashlight is made of a durable and sturdy titanium colored aluminum and a nylon wrist strap is included as added security against dropping it. It requires 3 AAA batteries (not included) and has a push button on/off. This is a flashlight that you can count on to get the job done - no matter how dark! It's good for the price. It survived my drop test and continued to function. After a torture test I did a worst case scenario and threw it as hard as I could on pavement. It continued to work but 2 lights cut out. I love it for the price as a good utility light. When I first saw it I didn't take it seriously but I was proven wrong, quickly. Go ahead and grab one. You'll love it.